At this moment I am exactly doing rangoli. 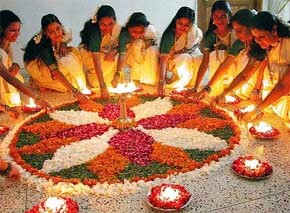 Rangoli is called painted prayers of India. I am doing rangoli since I was a kid. 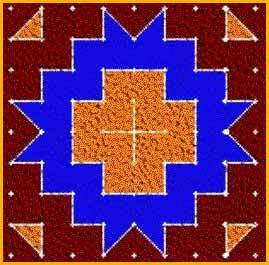 When I was a kid we had a raised platform in the courtyard especially made for rangoli. 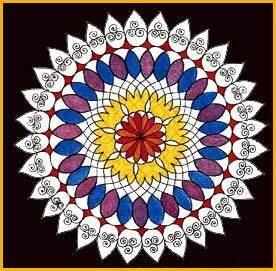 We used to buy permanent paints (samples used to come in small amounts) and used to take 2-3 days to make rangolis all over house at different places. We never used to get tired. I still do it but now with flowers or powder colours. 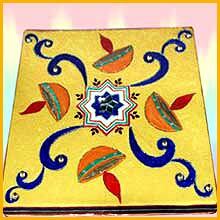 All over India rangoli is done at different festivals or even on everyday basis and has different names such as Alpana in West Bengal, Kolam in south etc. 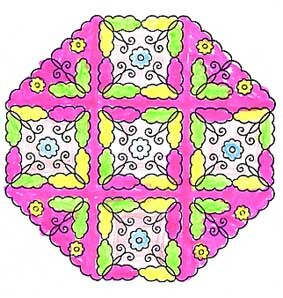 Animation of a rangoli design. via: 1, 2, 3, 4, 5, 6, 7, 8. Previous Postdon't worryNext Posthappy Diwali! I liked all the rangoli pictures. 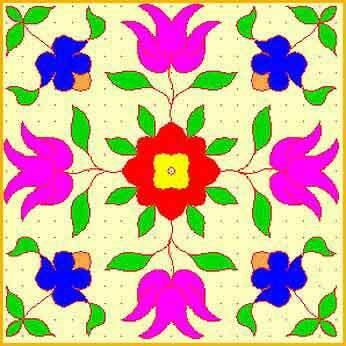 Whenever I feel lonely, I just go through couple of rangoli designs, which make me rejoiced. i want to talk with u.can possible for u? if possible then please reaply with ur contact no. this is awesome!!!!! Thnxx 4 the site!!!!! Thank you for the ikolam link. I’m coming to live in india soon, what a great site you have.